From the author of The History of Love, a cerebral novel set in present-day Israel in which two visiting Jewish Americans—one a young wife, mother, and novelist, the other an elderly philanthropist—experience transcendence. All of Krauss’s favourite themes and preoccupations are here: memory, solitude, the inner life of an elderly Jewish man, the meditations on Israel and on what it means to be Jewish in the homeland and in the diaspora. We’re reminded, reading them, why she’s so often spoken of in the same breath as Philip Roth ... But Krauss has opted for something much more interesting, and the novel that emerges is a book of mirrors, a dazzling and fascinating meditation on fiction itself, and on doubleness and echoes ... There have been a great many novels about writing novels and it’s a difficult trick to pull off, but it’s testament to Krauss’s formidable skill as a writer that this one feels entirely original. This isn’t to suggest perfection: the narrative momentum grinds to a halt for a while following Nicole’s arrival in Tel Aviv, during an extended meditation on Kafka that veers dangerously close to an academic essay. But there’s no such thing as a perfect novel, any more than there’s such a thing as a perfect life. 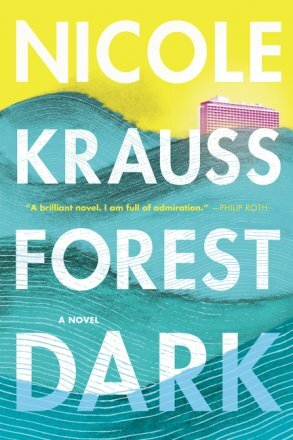 One of the great pleasures of reading a writer’s body of work lies in seeing the progression from one book to the next, and Forest Dark finds Krauss at the top of her game. It is blazingly intelligent, elegantly written and a remarkable achievement. ...[a] strange and beguiling novel, a mystery that operates on grounds simultaneously literary and existential ... Krauss marshals facts from Kafka’s biography — his long-standing interest in Zionism, his Hebrew lessons, a failed plan to immigrate in 1923 — to brilliantly unspool this alternate history ... 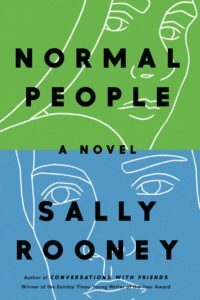 The themes of doubling and entrapment in this novel may be reminiscent of Kafka, but the scenario itself calls to mind the work of a more recent forefather: Philip Roth. His entire body of work, but especially the Nathan Zuckerman novels, plays with similar questions of Jewish history, identity, and obligation ... It has become conventional for writers to suggest identification with their narrators while at the same time coyly denying it. Sheila Heti, Ben Lerner, and Rachel Cusk have all recently used this trope. The effect is like looking into a warped mirror: The reflection is easily perceived, the distortion less so. The technique can veer dangerously close to solipsism. Look at me, these writers seem to be saying, this is my life, or at least I want you to perceive it as such. Krauss, however, uses it self-consciously as an echo of Kafka, emphasizing her doppelgänger’s own entrapment in an existentially bewildering predicament. Look at me, she says: I could be you ... What Forest Dark shows — with its bold reimagining of Kafka’s life, as well as its intimations that Nicole’s life might be something other than what she thinks it is — is that the distinction between authentic and inauthentic might not be as important as we believe. It’s a perfectly Kafkaesque vision, almost uncanny enough to be sublime. It might be tempting to conflate the character Nicole with the author named on the book jacket. But Krauss — like W. G. Sebald, whose work haunts these pages, and like many other writers before her — toys with identity as a means to lure us into a story (or two), and not, to my mind, to reveal intimate details ... Forest Dark is a novel that, mercifully, embraces and even celebrates not, for once, having answers ... And yet, and yet. What about doing some honor to the truth of incoherence? Krauss manages it by granting two high-achieving American Jews — why Jews? people, vulnerable human beings — a break from themselves. Israel, impossible and messy as it is, becomes a conduit for new possibilities. Detours. Blessed dead ends ... Elias Canetti once wrote of Kafka that he sought, above all, to preserve his freedom to fail. In this spirit, Krauss, an incisive and creative interpreter of Kafka, allows Nicole and Epstein to regain their own freedom to fail. This particular freedom should never be taken lightly. It’s a great gift not only to her characters, but to her readers. What did you think of Forest Dark?